Most businesses and professional services make use of receipts. The said document can help business owners, professionals, and their respective customers and clients keep track of their expenses and other payment details. In the field of medicine, private doctors render their professional services for a corresponding fee. If you’re interested with how doctor’s receipts are crafted or formatted, we can definitely assist you with that. 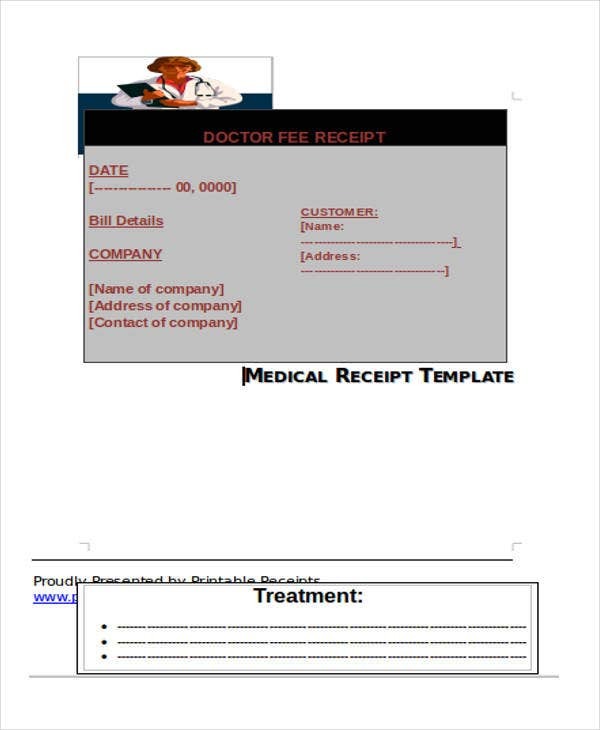 On this page are 7+ doctor receipt templates which cater to a variety of purposes. 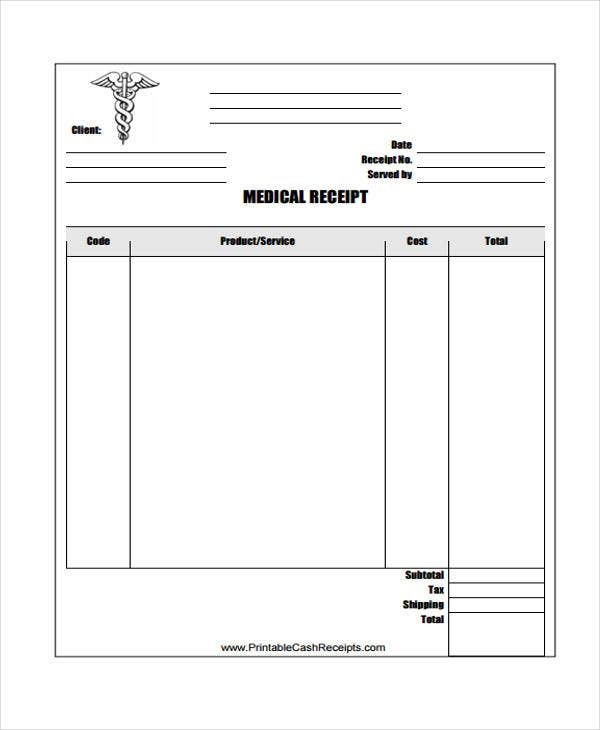 Aside from these medical receipts, we also offer business receipts. Feel free to review and download the template that sparked your interests. The degree of importance of a certain receipt depends on the governing laws and procedures adopted by a country. For taxation and record-keeping purposes, doctors must provide medical receipts to the patients. This is also a form of transparency on the part of the doctors. The doctors or any medical personnel must provide the patients with a detailed account of the medical services provided with the corresponding payment details. On the patient’s end, keeping and organizing ones medical receipts is a must. There are variety of reasons for that. First, it is admissible as evidence in most courts of law. 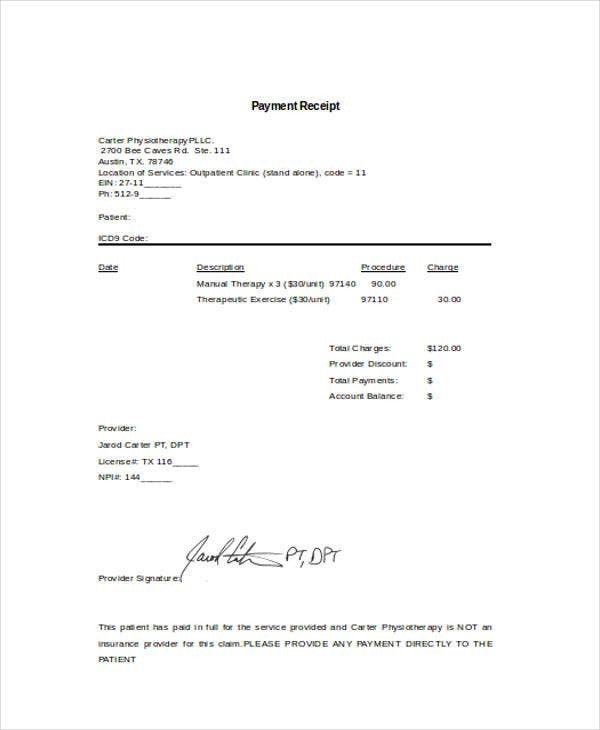 In instances that doctors commit malpractice or violates a patient’s right, then their receipts can help establish your relationship with the doctor. Second, you should keep them for record-keeping purposes. You can track your medical expenses and see if you’re still in tune with the monetary demands. In addition to this, there are also cases of reimbursements and refunds due to possible clerical mistakes or worse fraud. These are some pertinent reasons why receipts are valuable. 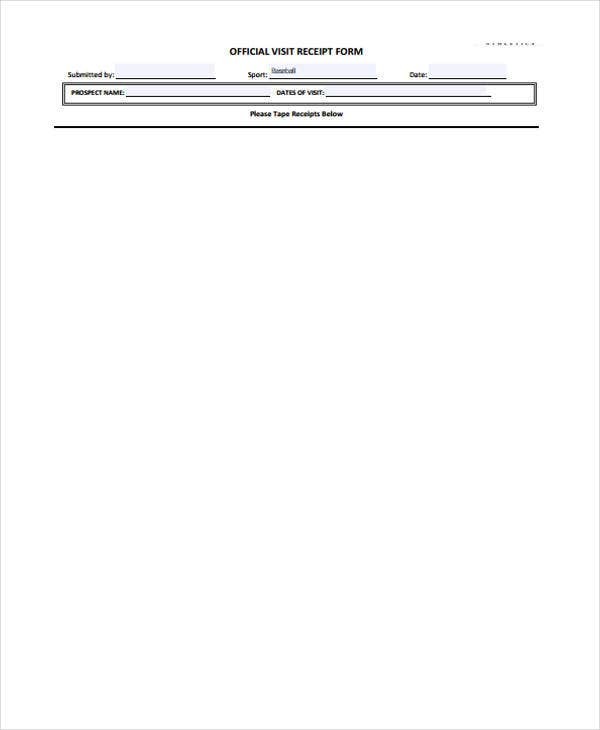 If your’re looking for Blank Receipt Templates for you to customize, you can also access the provided links. 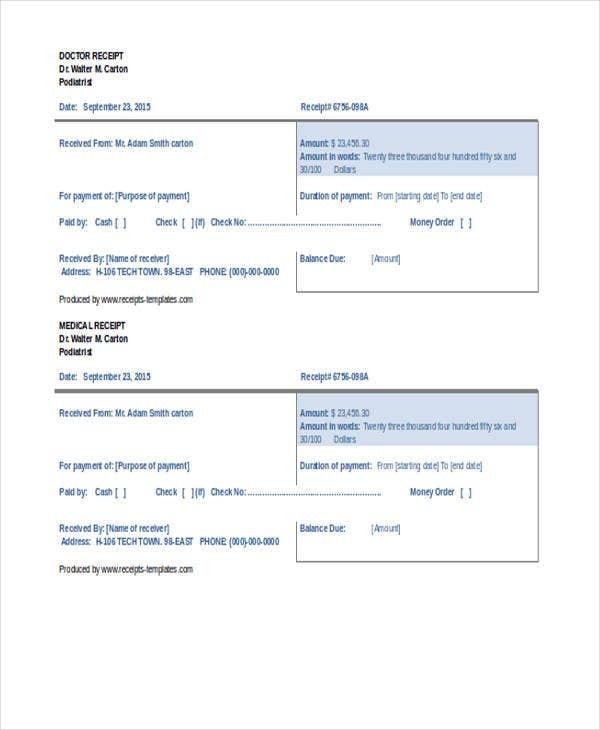 Additionally, we also have Official Receipt Templates available for you. 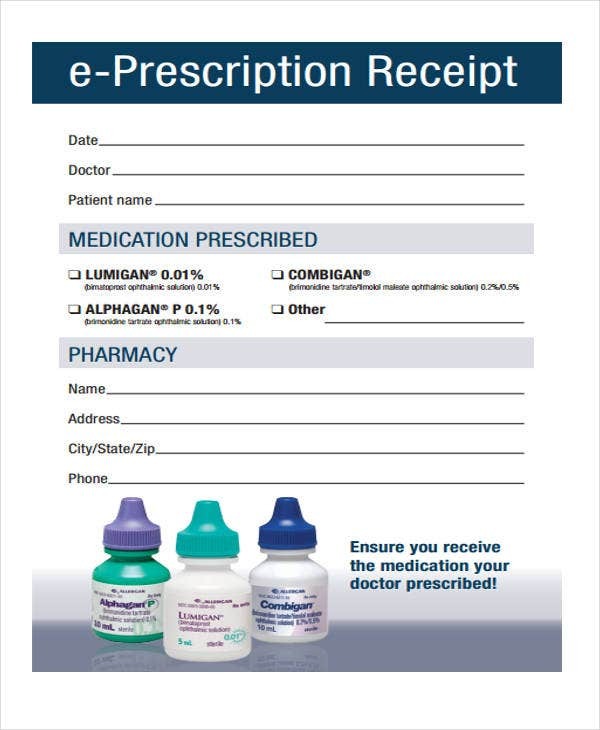 What Are the Essential Components of a Doctor Receipt? Name of the medical clinic. 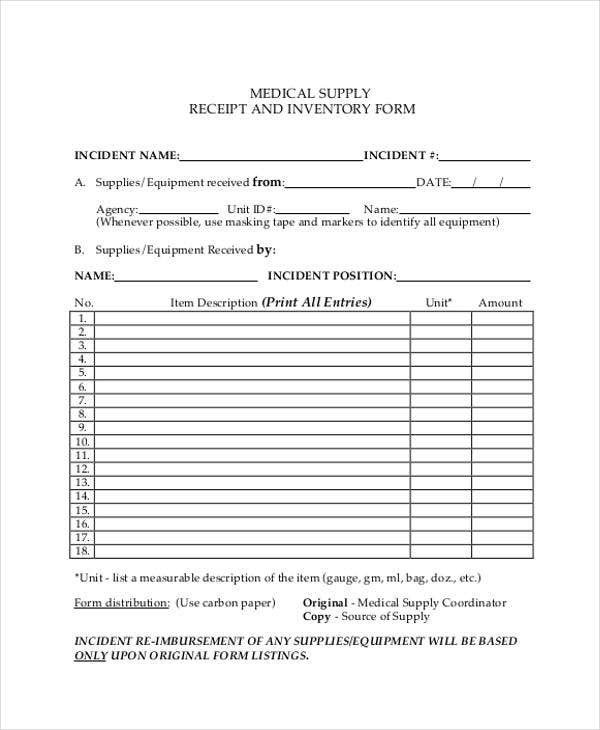 In here you have to specify and accurately provide the name of the medical institution that the doctor is working. If the doctor has his or her own clinic, then he can use his or her clinic’s name. In addition to this, you also need to write the contact details of the said clinic. 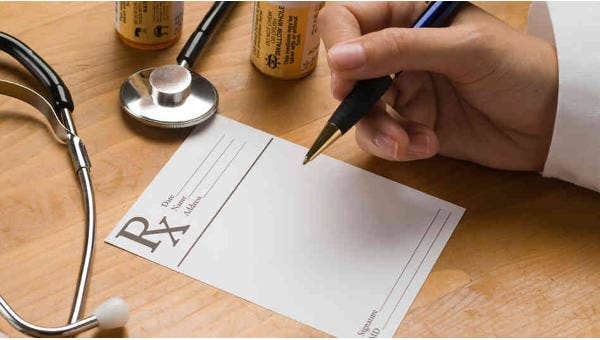 List of the medical services or medicines recommended and provided. In here, you can come up with a table. The table may highlight the name of the services provided, a short and brief description, and the corresponding charges. Physician’s name and licence number. For other countries, they require other identification numbers that identifies the doctor as a qualified physician specializing a certain medical field. Physician’s signature. Always make sure that the receipt given is duly signed for validity purposes. These are some essential components of a doctor’s receipt. 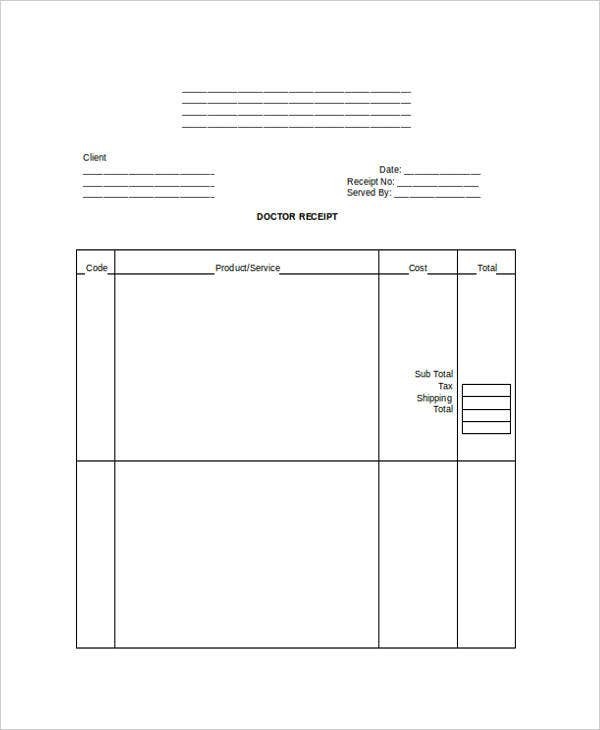 To clearly know how the said elements are arranged in a document for, you can check out our Medical Receipt Templates for more options.